BETHLEHEM, PA --(Marketwired - April 07, 2016) - Dr. Thomas R. Lambert, a highly regarded restorative and cosmetic dentist, has launched a new website with convenient online scheduling options and video testimonials. The new website, www.alwaysaboutsmiles.com, features the latest information about Dr. Lambert's dental services and is accessible from all web browsers and mobile devices. Dr. Lambert said he redesigned and launched the website to better accommodate his community and long-time patients. "The website is such an important extension of our dental office, and we want our patients and community members to have the most relevant information available to them at the click of a button," said Dr. Lambert, who operates Always About Smiles. "By educating the public, we can help make our community a healthier and happier place." The new website features information about Dr. Lambert's extensive dental services and trainings; video testimonials from patients; a smile gallery of Dr. Lambert's dental creations; and convenient online appointment forms. Additionally, site visitors can access free blogs written by Dr. Lambert about his revolutionary dental treatments and new research and information relating to dentistry. Dr. Lambert also has written a free e-book available for download about choosing a dentist. The Bethlehem dentist said he is eager for new patients to use his new website to begin curing their dental problems and achieving a healthier mouth. "We redesigned the website to create an online environment in which our patients can discover everything they need to know about their teeth and oral health," Dr. Lambert said. "The website is sleek, convenient and helps patients understand the high level of care they'll receive at our practice." Always About Smiles, 2299 Brodhead Rd., is a modern facility with the latest technology and comfortable equipment. The staff is trained in all aspects of dentistry, including cosmetic dentistry, restorative dentistry, sedation dentistry, sleep apnea treatment and even dental implants. The practice offers dental implants to replace single missing teeth, full arches of missing teeth or to stabilize dentures. An accomplished musician, Dr. Lambert has more than twenty years experience in the treatment of brass and woodwind embouchure, facial pain and other special dental problems of musicians. Dr. Lambert works with professional symphony and band musicians locally and around the country to correct detrimental dental problems that can significantly impact their ability to play. At the same time, Dr Lambert is available to parents to discuss the selection of musical instruments for their children with dental problems. Dr. Lambert was born and raised in Pennsylvania. He graduated with a biochemistry degree from the Pennsylvania State University and then graduated at the top of his class from Temple University School of Dentistry. He also completed a one-year General Practice Residency at Lehigh Valley Hospital, where he has been on attending medical staff for 28 years. Before starting his own dental practice, Dr. Lambert served as an associate dentist for one year in Easton. Dr. Lambert has taken more than 2,800 hours of continuing education, training in the areas of general dentistry, restorative dentistry, cosmetic dentistry, emergency care, dental implants and oral surgery. He has achieved both the Fellowship and Mastership levels from the Academy of General Dentistry. Dr. Lambert has been inducted into many honor societies, including the Endodontic Honor Society, Periodontal Honor Society, Oral Surgery Honor Society and the Crown and Bridge Honor Society. He has also received the American Academy of Golf Foil Operators Award, Academy of General Dentistry Outstanding Senior Student Award and the Alpha Omega Award for Highest Scholastic Standing. Following his passion for teaching aspiring oral health professionals, Dr. Lambert taught at Northampton Community College Department of Dental Hygiene for 10 years. He also volunteers to train general practice residents at Lehigh Valley Hospital Department of Dental Medicine, where he earned the Department Teacher of the Year Award in 2007. Dr. Lambert plays the tenor and alto saxophones and is the principal clarinet in various local bands, including the Lehigh Valley Italian-American Band, Easton Municipal Band and American Legion Band of Bethlehem. He even plays with the alumni Blue Band at Penn State. To view Dr. Lambert's comprehensive treatments or to schedule an appointment, call his office at 484-935-3637 or visit the website www.alwaysaboutsmiles.com. Dr. Thomas Lambert was born and raised in Pennsylvania. He graduated with a biochemistry degree from the Pennsylvania State University and then graduated at the top of his class from Temple University School of Dentistry. He also completed a one-year General Practice Residency at Lehigh Valley Hospital, where he has been on attending medical staff for 28 years. 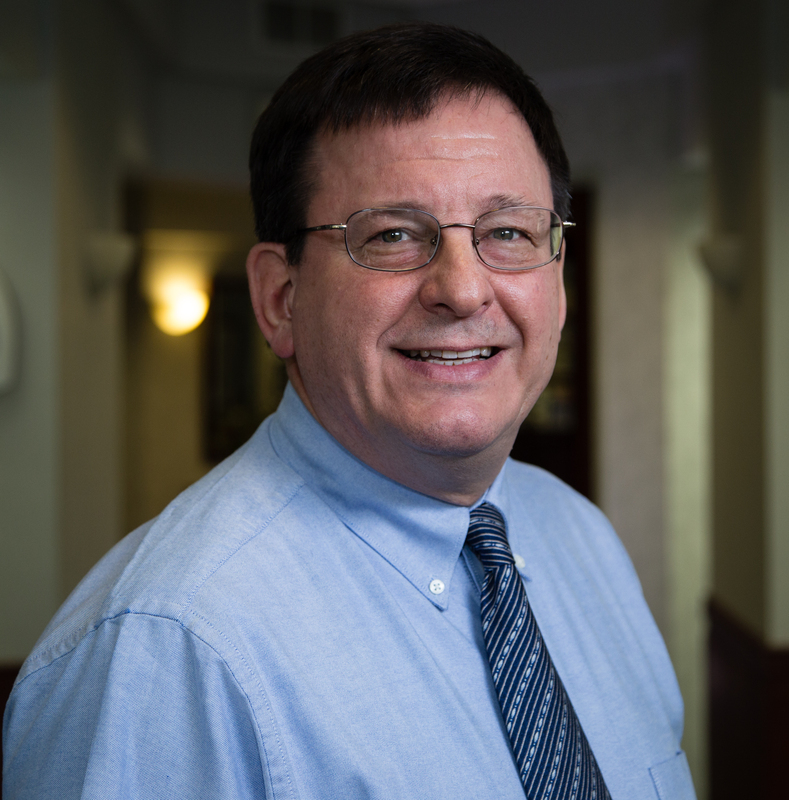 Before starting his own dental practice, Dr. Lambert served as an associate dentist for one year in Easton.